Materials needed: Ivy Lane paper X7178B, Ivy Lane Complements X7178C, and optional Mini Medley Accents Z1857 along with extra cardstock sheets. Base sheets on these layouts are the printed sheets from the Ivy Lane paper pack. 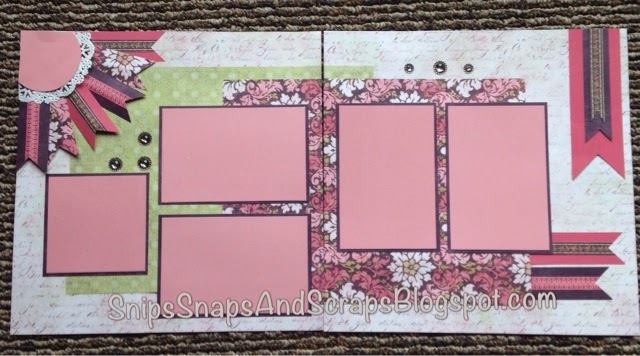 Hollyhock, Blush, and Smokey Plum cardstocks were used on this layout. The Smokey Plum cardstock was inked to better coordinate with the Ivy Lane purple paper. 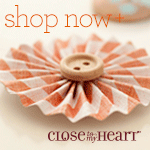 The embellishments are from the Rosewood Mini-Medley Accents Collection (z1857). The base sheets for these layouts are Smokey Plum cardstock inked with Smokey Plum ink. The Ivy Lane Green Cardstock has been inked with Sweet Leaf ink. The embellishments on this page are from the Ivy Lane Complements (X7178C) and the Rosewood Mini-Medley Collection. 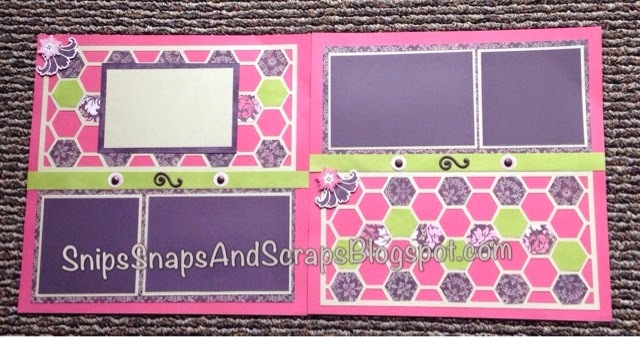 The bases of these two layouts are Hollyhock cardstock. 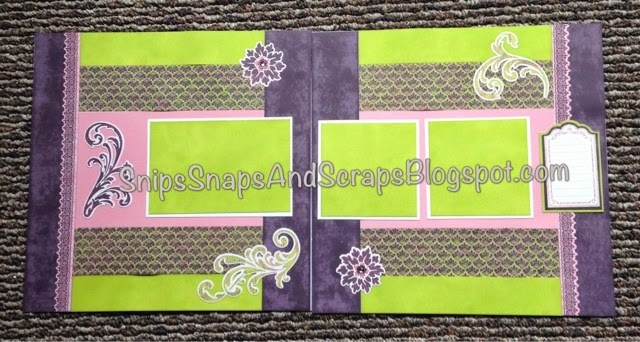 Most of the picture mats use the Ivy Lane Purple cardstock along with Colonial White cardstock. On layout E the top purple mat is Smokey Plum CS inked with the same ink. The overlay is from the Artbooking Cartridge, p.67. Not in the area to come to this workshop? You may order this kit if you would like and work on it on your own. Click here to contact me. Use the email found there. The kit will be about $30 depending on shipping charges to your area.